This morning I went through some photos I took over the weekend and looked up the names of the wildflowers. 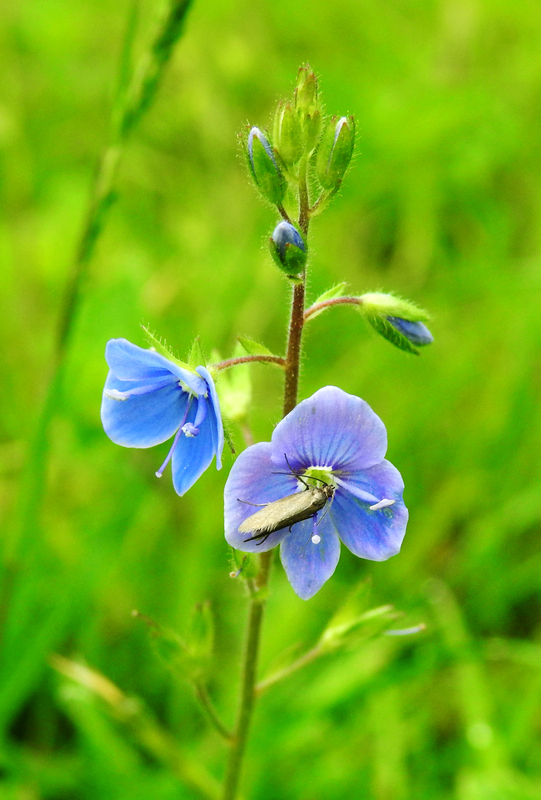 The blue flower in the main image I recognised as a Speedwell, but the other two I was uncertain about. Even though they all look remarkably like Speedwells, I couldn’t be certain about the upright specimen because I’ve always associated Speedwells with a low-lying creeping disposition. Add variations in colour within the same variety and it all became rather confusing. 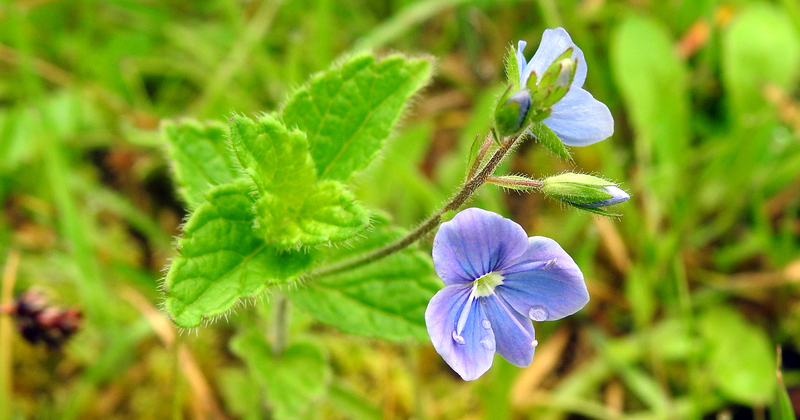 Sitting on drizzle dampened ground taking photos I noticed that they weren’t all the same, which is when I recognised the more usual Germander Speedwell (main photo) and here with a bug (yet to be identified!) taking a rest and drinking nectar. 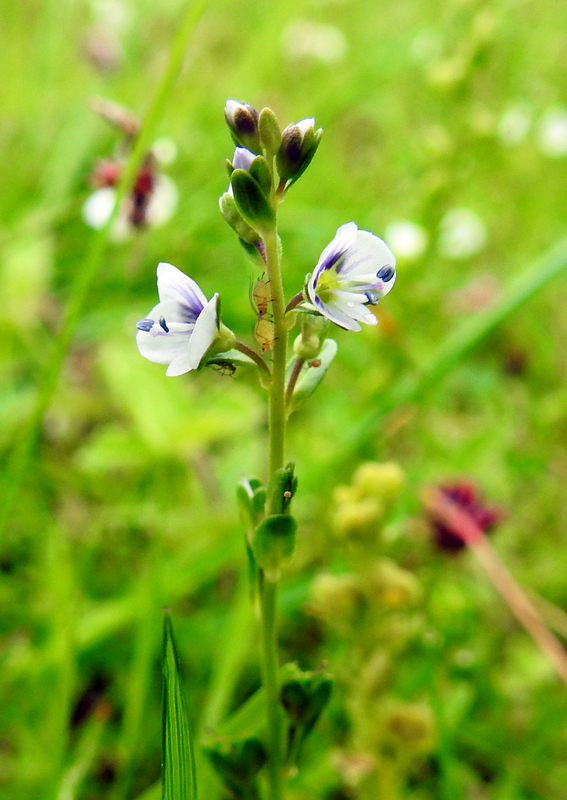 The last ones I found were an absolute treat because I’d never come across a white Speedwell before. They’re so small I’d probably failed to notice them hiding in the grass. 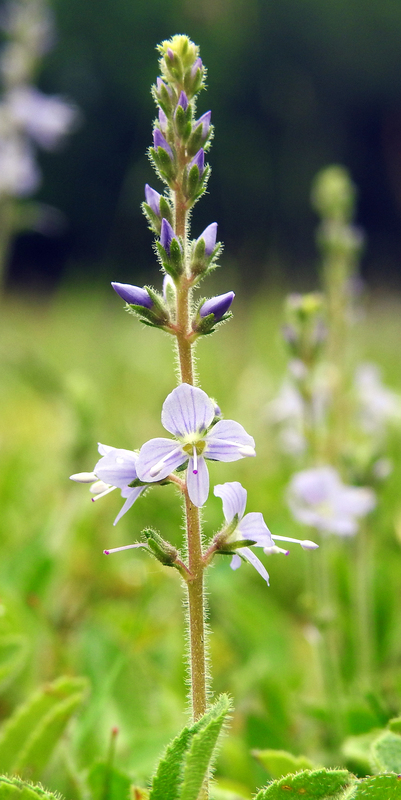 This is Thyme-leaved Speedwell with blooms barely 8mm across and the prettiest little wildflower you’ll ever see. I’m really hoping to see some more on a brighter day when grey clouds aren’t gathering overhead. The insects living on this one are easily identified as aphids and if you know how tiny an aphid is you’ll have a good idea how small and delicate the plant is. You won’t believe that I found all three varieties on a local playing field. I was going to grab a snap of the whole field, but this is England, and this was a Bank Holiday Monday, so of course, the rain came tumbling down. Going wild is one thing, getting wet is something else! 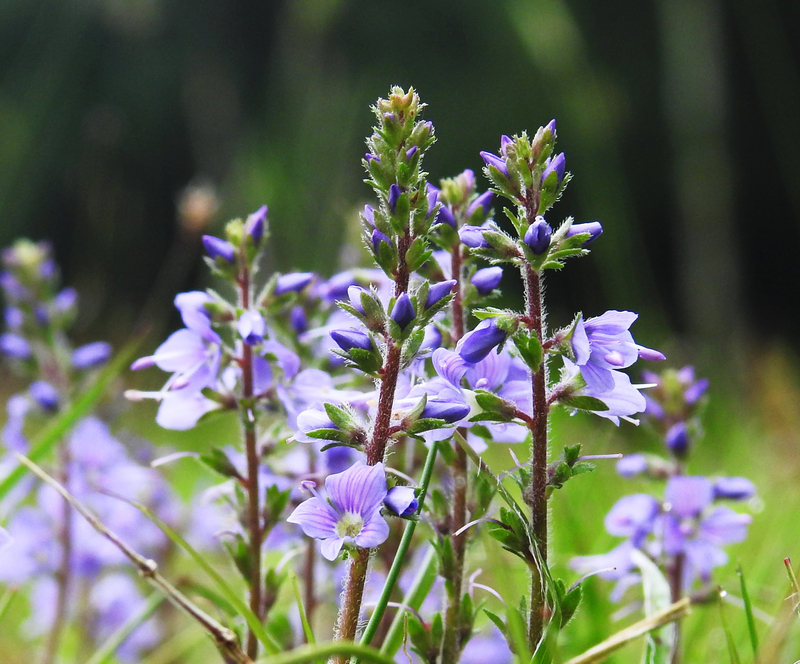 Which Speedwell is your favourite?